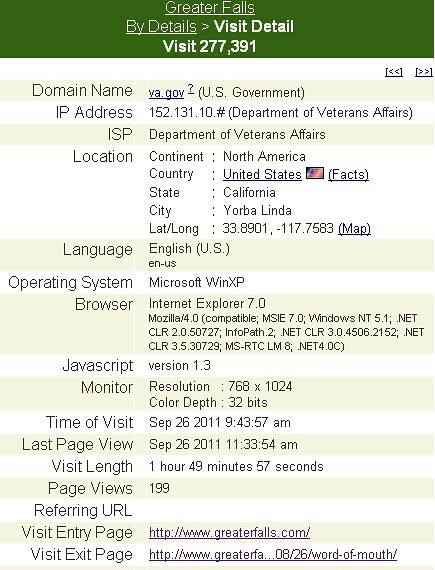 What is so interesting about GreaterFalls.com that someone using a VA computer in Yorba Linda, California, spent nearly two hours clicking through 199 pages? A staff member? A patient? A visitor? Someone from Great Falls, reminiscing about their hometown? Someone from California wondering about moving to Great Falls?